Living with diabetes is a burden, both for newer patients — who may feel overwhelmed by the high degree of self-care needed — and for experienced patients — who may, understandably, grow tired of managing their condition and become less engaged over time. Novo Nordisk and MATTER believe that by seamlessly measuring, tracking and sharing health data, they can enable a better dialogue between patients and their physicians or caregivers and create a more holistic picture of health, helping make self-care easier for those living with diabetes and, ultimately, leading to clinically actionable insights and better health outcomes. 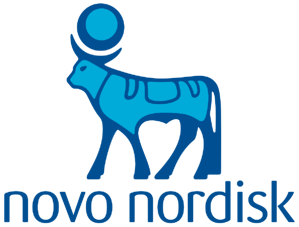 Challenge producers are seeking novel ideas and bold solutions, developed using data from Novo Nordisk's marketed pen injectors, that deliver holistic and integrated care to improve and optimize diabetes management. In partnership with the healthcare innovation community, they are interested in exploring, designing and co-developing solutions that will enhance patient experience, empower patients to improve their self-care to achieve a sense of normalcy, and enable smarter, more efficient management of diabetes. Data Sharing - How might we combine pen injector data with other relevant health data to incentivize and enable patients to actively collect, manage and share their health data with their physician or caregiver? Titration - How might we optimize medicine titration and treatment decisions for people living with diabetes? Dialogue - How might we support the patient and provider dialogue in, and between, clinical visits to improve treatment and care? Health Insights - How might we combine pen injector data with other relevant health data to develop actionable population health insights, targeted treatment care plans and novel business models that support improved care and outcomes? This Skild powered challenge is now open and accepting submissions through March 31, 2019.